Kingdom Hearts 3 was originally planned for a release date sometime in 2018, however days before E3, the release date was confirmed for January 29 2019. If you thought there was a problem in the development, or that they needed a little extra time, you may surprised to know that they are trying to be mindful of a worldwide launch window. IGN spoke with Tetsuya Nomura. “The timing of release that we were actually looking at, we were told by many people, including hardware manufacturers, marketing teams, sales teams that it just wasn’t a good timing in the year,” Nomura said, explaining that the differences in holiday lengths and how stores behave in different regions were a note of concern. 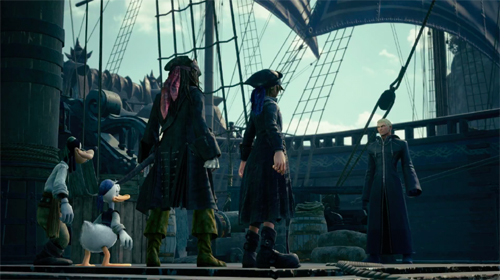 “…For Kingdom Hearts 3, the [Square Enix] western offices had requested to release the game as simultaneously as much as possible between Japan and America, so we were no longer able to just think about Japanese issues and retail situations,” Nomura said. It was also discussed that Nomura considered some alternatives. And with that, he has assured that they will continue refining the game as the release approaches.